Just absolute wow. All of yesterday is still so surreal. My book is on Kindle. ...Those Who Trespass is out of my hands. I now owe it nothing. Of course I have to promote and market and all that jazz, but I'm talking about what I owe the story. The story of Jenn Alistor and Clayton Ford. It's not mine any more. I no longer have any responsibility toward it. 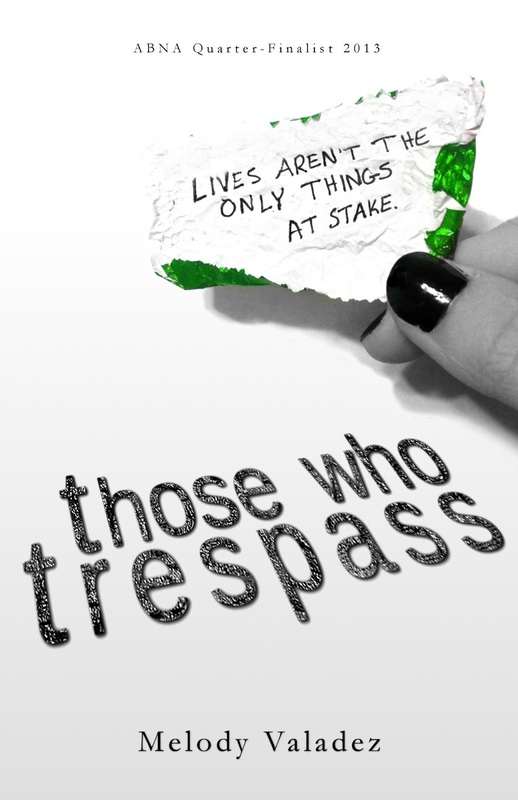 Now Those Who Trespass belongs to readers. It is now their task to read, to immerse, to experience. Their mission, should they choose to accept it, to review. But my job as a writer is done. I used to think that publishing a book would be a huge sense of relief, a feeling of, "Finally, I don't have to ever edit that thing again!" And while I do feel that, it's not as overpowering as I expected. It is not as if the experience of the story is over...it's that it now belongs to someone else. I wonder...does the reader know this, the role she now plays? I never did before, as a reader. I never knew that every time I opened a book, I was being handed a responsibility that an author had once carried. I used to think it was like a child being born, or even graduating high school. Instead, I feel like a dad on his daughter's wedding day. Sort of. If you've published a book, self- or traditionally, what did it feel like to have it done? If you're a reader--face it, we all are--have you ever thought about what responsibility you've inherited from the author?